The aFe Mach Force XP Cat-Back for the 2014 Jeep Grand Cherokee with the V6-3.0L EcoDiesel engine creates maximum performance. 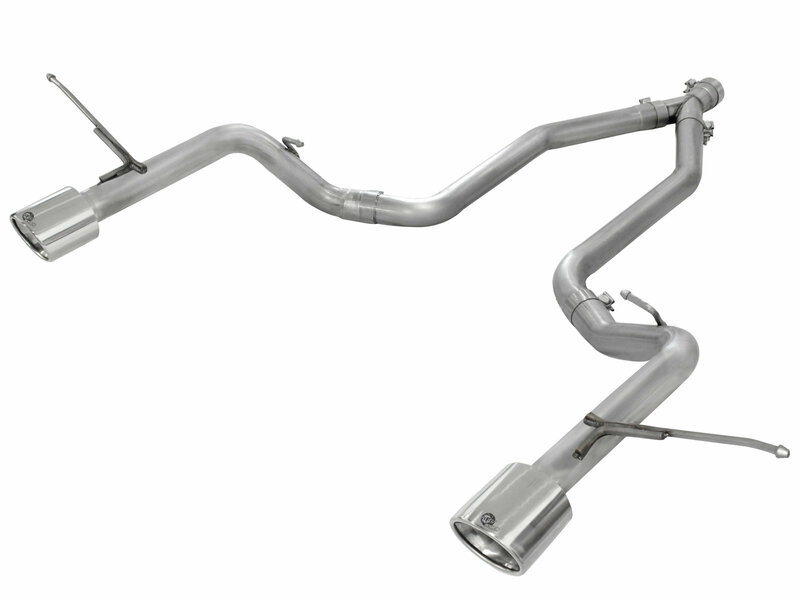 This exhaust system is constructed out of durable, 2.5" mandrel-bent 409 stainless steel tubing that incorporates a mitered merge collector. The mitered merge collector design is used to reduce turbulence for better flow and performance over the traditional formed collectors. The system also includes dual high-flow resonators to build a mellow performance sound. Comes complete with bayonet style hangers and band clamps utilizes OE mounting location a hassle-free installation. Dual free-flowing 4" resonators are used to absorb high pitch tones producing a performance sound and unleashing all available horsepower and torque. This system uses polished 304 stainless steel tips for an aggressive look.